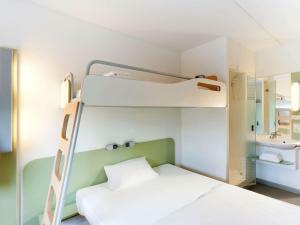 Featuring free WiFi throughout the property, ibis Budget Paris La Villette 19ème is located 2.1 km from Place de la République and a 2-minute walk from the Bassin de la Villette, which features 3 free outdoor pools open from mid-June to mid-September and activities such as water sports and cruises. 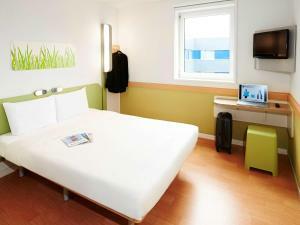 Sacré-Coeur is 2.5 km from Ibis Budget Paris La Villette, while Pompidou Centre is 3.2 km away. Paris - Orly Airport is 17 km from the property. Private parking is available on site. 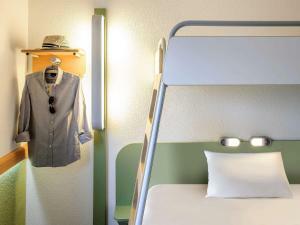 This double room features a flat-screen TV and a shower. Rate: € 55.50 ... € 89.50; select dates below to get current rates. Rate: € 53.00 ... € 94.00; select dates below to get current rates. Rate: € 56.33 ... € 85.33; select dates below to get current rates.